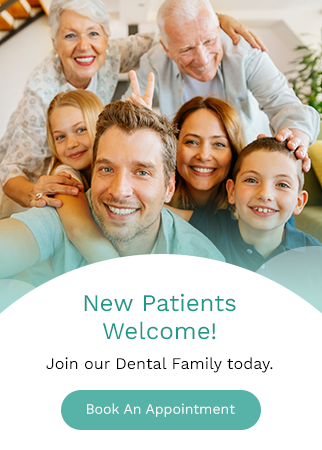 To help maintain a healthy smile, we recommend our Southeast (SE) Calgary patients maintain a consistent at home oral hygiene routine, that includes brushing and flossing twice daily, in combination with regular visits to your dentist for a professional cleaning and dental exam. X-Rays: We will take x-rays to help identify any existing or developing dental problems. Gum disease evaluation: We will examine your gums and bone around the teeth for any signs of periodontal disease. Examination of tooth decay: We will check your teeth for signs of decay. Examination of existing restorations: We will help ensure any existing restorations (fillings, crowns, etc.) are in good shape. Removal of tartar: We will remove hardened plaque attached to the tooth's surface and below the gum line with special dental instruments. Removal of plaque: We will remove any plaque build up on the teeth. This can help prevent the bacteria buildup that can lead to inflammation. Teeth polishing: We will polish the teeth to remove plaque and tartar build up that may be missed during at home brushing and flossing. Fluoride is a liquid agent used to help prevent tooth decay. It is naturally present in many foods and water supplies. We may recommend, supplementary fluoride treatment during your appointment. A sealant is a thin, plastic coating applied to the chewing surface of molars, premolars and any deep tooth grooves protect help the teeth. We may recommended sealants for children or adults as a supplementary aid in cavity prevention.